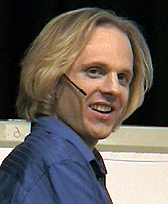 –– David Wilcock will be the guest on the Camelot Whistleblower Radio show on Thursday, December 10, 2009. –– Drunvalo Melchizedek's next webcast will be entitled, "The Birth of a New Humanity & the Grids of Consciousness" and will be sometime in February, 2010. –– Recommended new book release, "The 21-Day Consciousness Cleanse: A Breakthrough Program for Connecting with Your Soul's Deepest Purpose" by Debbie Ford. -–The notes for the Miracles and Inspiration conference call from Tuesday, November 24, 2009 are now available. -–Read out latest Blog post, "Separated At Birth – Balloon Boy, V and Mr. Spock! – Is this all a case for ET disclosure? -–UFO Crash Conference 2009 will be featuring Stephen Bassett, Dr. Michael Salla, Linda Moulton Howe and others from November 6-8, 2009. -– On November 3, 2009, "V" premiered on ABC TV that will become a regular weekly series. The show is clearly meant to cause fear and confusion about extra-terrestrials as rumors of disclosure are hot! 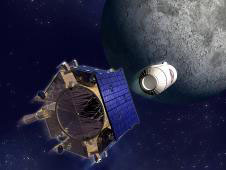 Richard Hoagland's "NASA's Smoking Gun: Part II – LCROSS' (and LRO's) Secret NASA Mission to the Moon"
Expanding human consciousness rapidly heading towards an impending, epic global event! News | October 28, 2009 | UPDATES: November 3, 2009 – See our latest Blog post | November 9, 2009 – New videos added UFO Disclosure May Be Imminent! | November 29, 2009 - David WIlcock's "Disclosure Updates"
Fasten your seat belts, it is going to be a wild ride! A great new leap of evolution has begun in earnest for the human race as recent dramatic events are signaling major breakthroughs about to unfold at any time. Beginning sometime around July of this year, it would appear that the entire world entered into an accelerated phase of evolution that clearly indicates we are heading towards an epic paradigm shift. By all accounts, we can expect a grand event or, perhaps a series of events, to begin to transpire on the global stage. And we can assume this trend will continue to increase through the end of the year, well into 2010, and on into the conclusion of the year 2012. Although much negativity abounds, it is most important to be mindful of the overall big picture. While much of the mainstream, alternative and conspiracy media focuses on either the rumors of the collapse of the US economy, the swine flu pandemic, the New World Order, Martial Law, or any of dozens of other horrible scenarios, in the meantime, more and more people are awakening to the realization of the truth. This is directly due to human consciousness evolving very rapidly, and it is only a matter of of a short time before we reach that pinnacle where we will see the entire planet Earth shift into a higher state of consciousness. This could reach its zenith, as early as the end of the year 2011. Yes, well before, the date of December 21, 2012! Some have called this process ascension, while others have referred to it as achieving a state of enlightenment. Either way, there is little doubt that some absolutely amazing events are in store for all of us within the very near future. As a matter of fact, they are well underway as you read these words. And you should know that there is a precise and calculated reason for this acceleration of truth, wisdom and information unfolding. It is primarily due to the direction of a grand Divine plan, propelling consciousness exponentially forward, that has its origins all the way back to the dawn of creation. Some 16.4 BILLION years ago, as a matter of fact. 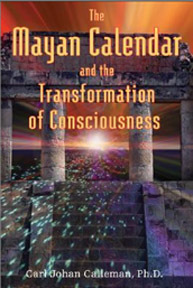 According to the Mayan calendar, as deciphered by Swedish micro-biologist, Dr. Carl Johan Calleman, we are currently near the end of the eighth out of nine levels of consciousness or cycles of evolution. This eighth level, known as the Galactic cycle, began on January 5, 1999 and it embodies the consciousness of "ethics." The ethics consciousness took over from the prior consciousness of "power," which lasted from the year 1715 AD until January 4, 1999. The consciousness of ethics is precisely why we are seeing so much of this incredible information coming to light because, quite frankly, it can no longer stay hidden from us in a veil of darkness. Therefore, truth is pouring out from all corners of the globe and beyond. And I mean quite literally beyond this world. According to Dr. Calleman's calculations, on February 10, 2011 we will leave the eighth level and enter into the ninth and final level of consciousness, which is termed the Universal cycle which will embody the "consciousness of co-creation." It will last a mere 260 days when it will conclude on October 28, 2011. In fact, that is just two years to the day from the date we have posted this news release! Then we will enter the time period when miracles will really begin to manifest themselves. At that point, we will have reached what the Mayans refer to as, "the time of no time," or to put it another way, the end of linear time as we have come to know it. And what then? Anything is possible! Perhaps we will see the whole of Planet Earth move into this ascension process and then into a higher level of consciousness, as if reaching the very top point of a pyramid, then launching into the unknown. It has been a long and arduous process for humanity and Mother Earth, but we can now literally see that the light at the end of the tunnel is in sight. We are almost there! And how exciting it is! So, even though there appears to be an overwhelming amount of chaos in the world, in point of fact, it is consciousness moving boldly forward preparing itself for a great transition The acceleration process is pushing to the surface some absolutely incredible new developments for all the world to see. Two of the most hot button issues at this time, that seem ripe to emerge from a long period of darkness are: 1) some kind of major economic/banking reorganization, which may include the demise of the US dollar and the Federal Reserve, or other financial scenarios; and, 2) an official disclosure of extra-terrestrial races by the United Nations, a foreign government, or quite possibly, by our President, Barack Obama. These are merely the most likely issues that could see an unveiling, yet there could any number of other revelations that could break through, as well. Therefore, it is worth reviewing some of the more remarkable events that have developed over the last several months that have led us to the point where it seems all but certain, that some epochal moment for humanity is finally at hand. The balloon is about to pop! Of course, these events represent only a tiny fraction of what has come out into the open. 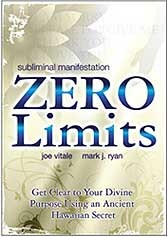 We should assume that at least a 1,000 times more is going on behind the scenes and in the higher spiritual realms that is spurring on the awakening of humanity on a grand scale. – April 21, 2009: The X-Conference 2009 brings together a stellar collection military, governmental and civilian whistle blowers and researchers in Washington, DC, who have been investigating the UFO phenomenon for decades. 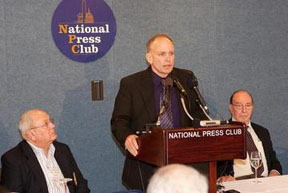 Paradigm Research Group director, Stephen Bassett, states emphatically at their official press conference that he feels certain the Barack Obama administration is prepared to make a formal announcement of the existence of extra-terrestrials. "The Obama administration, through the nature of who they have appointed and other information I am receiving, has made a decision to disclose the ET presence," he declared at their April 21st press event. 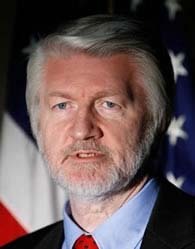 – June 29 – 30, 2009: David Wilcock, and the Project Camelot team of Bill Ryan and Kerry Cassidy, interview government scientist and whistleblower, Dr. Pete Peterson, who claims President Obama is prepared to announce the existence of extra-terrestrials by the end of the year. On a Camelot Whistleblower radio program on June 30, 2009, they divulge their revealing meeting with Dr. Peterson, however the actual video interview is not released until months later on September 4, 2009. In addition, they discuss information Dr. Peterson has been given of an impending world-wide economic collapse, that could also occur, possibly before the end of 2009. – July 8, 2009: The Vatican announces it is putting forth a recommendation that a "new financial order" be implemented for the world's economy, the day the G-8 summit convenes in L'Aquila, Italy. The following day, President Obama emerges from the G-8 meetings and declares the "world has avoided an economic disaster." – July 11, 2009: The A New World If You Can Take It! Conference, sponsored by Project Camelot, opens in Zurich, Switzerland and features speakers, David Wilcock, Dan Burisch and Dr. Brian O'Leary. This conference is also noteworthy for the first public appearance of Henry Deacon, (whose real name is revealed to be Arthur Neuman), who claims to have worked on bases on Mars with various extra-terrestrial races, as well as, in other black ops projects. – July 24 - 25, 2009: The amazing European Exopolitics Summit 2009 opens in Barcelona, Spain featuring Dr. Steven Greer, Bob Dean, Stephen Bassett, Nick Pope, Alfred Webre, Dr. Michael Salla, among others. The conference features absolutely riveting presentations by Dr. Greer, "Contact and Disclosure: The Final Sequence" on July 25, 2009 and "The Promise of New Energy", on July 26, 2009. In addition, Bob Dean gives an equally compelling presentation: "Why the greatest story in human history has never been told" on July 25, 2009, as does Stephen Bassett with, "Disclosure 2009," from July 26, 2009. 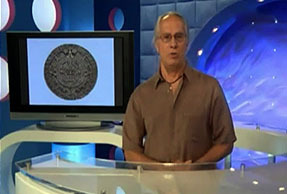 – July 29, 2009: Author and speaker, Drunvalo Melchizedek, conducts an amazing web cast, "The Maya of Eternal Time: 2012 and Beyond", which premieres to a world-wide audience on July 29th. Drunvalo speaks on behalf of the Mayan council of elders, led by Don Alejandro Cirilo Perez Oxlaj, who have given him permission to relay their most pertinent messages to the world. He says the Mayans have told him that a window of time has opened from the years 2007 to 2015, when a great shift of consciousness could occur at any point during that period. "The Maya wish to inform you that the world you think you know, is not real. The world is really images that can be controlled by consciousness, especially consciousness that is connected to the human heart." "Humanity is very much in the situation of a butterfly moments before it comes out of its cocoon. Everything it knew is about to change and a completely new world is about to emerge." "I really believe every single last person alive is going to be fine through all of this, one way or the other. I feel excitement that we are coming to the end of these cycles and that the pain of thousands of years is about to be over with and that a new way of existence is about to begin for humanity. This is time of great beauty." "What we are about to go through is like childbirth. We are about to be borne on a new level of existence no more pain no more death no more a lot of things. It is not a time of fear, it is a time of celebration." – September 17, 2009: David Wilcock appears again on the Camelot Whistleblower Radio show and makes yet more startling predictions of his own. "What I am seeing is basically a very substantial defeat of the New World Order, which then will also eliminate their financial ability to harass disclosure groups. Disclosure is absolutely going to happen and is actually being planned, this all came to me in the last four or five days." "The things that I have been hearing... it is just going to blow people's minds out of the water," he says confidently. "It is going to hit the public like nothing before. It is going to be amazing." – September 19 – 20, 2009: The Awake & Aware in LA conference convenes in Los Angeles, California, again sponsored by Project Camelot, and features a roster of fabulous speakers. 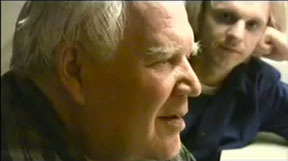 These include David Wilcock, Bob Dean, Alfred Webre, Alex Collier, Jordan Maxwell and Richard Dolan, among many others. Once again, David Wilcock offers some of the most shocking and amazing revelations for future events, particularly during a panel discussion on Saturday night, September 19, 2009. "I am being guided as sternly as possible to be telling you that it appears that we are going to have a spectacular defeat of the New World Order and the Illuminati." – October 4, 2009 - "I Know What I Saw," a major UFO witness documentary premieres on the History Channel and is repeated again on October 27, 2009. Before its airing, filmmaker James Fox, is featured extensively on CNN's Larry King Live, during several dedicated UFO/ET specials that have aired on that program. I KNOW WHAT I SAW, a documentary guaranteed to change the way we see the universe. 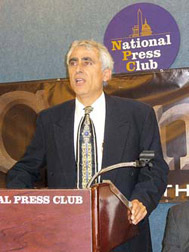 Director, James Fox assembled the most credible UFO witnesses from around the world to testify at The National Press Club in Washington D.C.: Air Force Generals, astronauts, military and commercial pilots, government and FAA officials from seven countries tell stories that, as Governor Fife Symington from Arizona stated, "will challenge your reality". – October 6, 2009: President Barack Obama hosts what his press office calls a, "star party" at the White House as a way to encourage young school children to take an active interest in the exploration of space. It marks one of the first times since the administration of John F. Kennedy to clearly bring national attention to the exploration of space. 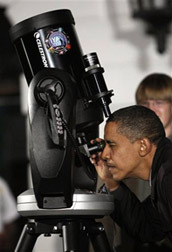 Mr. Obama is the first President to be photographed looking through a telescope into the cosmos, which offers still more symbology of the true intent of where the Obama administration wishes to lead the world – into to outer space. This event offers yet more proof that some kind of extra-terrestrial disclosure is in the offing. – October 6, 2009: In a sensational interview on the Coast to Coast AM radio program, David Wilcock offers more stunning prophecies on a coming economic collapse and the intent of President Obama to reveal the existence of several ET races. "The insiders are absolutely scared out of their wits now. They are in an absolute state of panic... but what is really going on is their grip on control is about to be broken. The Federal Reserve is in the process of being dismantled," he says during this broadcast. "There is a sequence of events that is about to unfold on this planet which will at first will appear to be the most horrific economic vomiting we've ever seen. It is so terrifying that the insiders believe that America is going to collapse into total anarchy, cannibalism and violence. "(however), there is a management in place... there are forces that are much more powerful that will stop these genocidal plans and will ensure what we go through as a planet will be a smooth transition. What excites me the most is how fast some these changes are going to happen," he concludes. 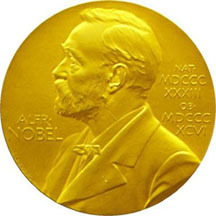 – October 9, 2009: President Barack Obama is declared the Nobel Peace Prize winner for 2009, despite serving in office for a mere nine months. In his article, "Is Obama Nobel Peace Prize prelude to extraterrestrial disclosure? ", Dr. Michael Salla speculates whether the Obama recognition has more to do with what the American President is about to reveal, and not solely on his accomplishments thus far. President Obama has a number of advisors and Cabinet officials who are familiar with the existence of extraterrestrial life, and the six decades long cover up of the reality behind UFOs. These include his Director of National Intelligence, Dennis Blair; his National Security Advisor, James Jones; his Secretary of State, Hillary Clinton; his Director of Central Intelligence, Leon Panetta; and his NASA administrator, Charles Bolden. These officials have at various stages received briefings, either formally or informally, concerning extraterrestrial life. Behind the scenes of the Obama administration, there has been an ongoing attempt to lay the foundations for disclosure of extraterrestrial life, possibly as soon as the end of this year. 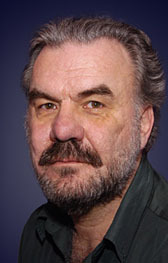 – October 10, 2009: Stephen Basset appears at the Brussels Groundcrew Conference in Belgium, again sponsored by Project Camelot. In his most strongest language to date, he states emphatically that the ET disclosure is assured and it is coming by the end of the year or early 2010. "We will get disclosure. I absolutely guarantee it. It is inevitable... Now whether it comes from the US, I don't know. One could make the case it might be more appropriate if another nation acts first... I don't care if France starts it, Russia starts it or China, three of the most other likely candidates." ...all of that will be known very soon and you are going to get to watch it all in high definition... this paradigm change, unlike any in history, is going to be televised 24/7 and it's gonna go on for months and you are going to watch it all unfold. It's going to be the greatest show on Earth and it will go on for at least two to three years. So you need to get ready for this." – October 10, 2009: On his Divine Cosmos Audioblog for 10.10.09, David Wilcock offers even more details on prophecies and dreams for impending major events. "There is going to be a formal government disclosure of the reality of the UFO phenomenon. This will be happening before the end of the year, that the television time has already been booked on major networks, not only in this country, but around the world, that it will be a two hour special. You will actually be introduced to several different people each of whom are a representative of different human lineages on different planets." – October 15, 2009: In a reported experiment to locate water ice, NASA bombs the Moon with its much hyped LCROSS Mission (Lunar CRater Observation and Sensing Satellite). The entire event is broadcast live over NASA's TV channel and web site yet little is seen, not only from Earth, but from the live camera feeds attached to the missile that slams into the Moon. Much speculation ensues as to what NASA was really intending for this experiment on the Moon and it is later reported to be, by the space administration itself, a "smashing success." How ironic! – October 15, 2009: The "balloon boy" incident grabs the national spotlight briefly as a weather balloon, in the shape of a classic silver UFO, sails aimlessly across the Colorado skyline to the horror of millions of television viewers across the country, and around the world. Designed by amateur scientist and reality TV actor, Richard Heene, it is a near perfect re-enactment of the original Roswell, New Mexico UFO crash from 1947, when the US government declared there was no extra-terrestrial craft, but only a mere weather balloon. However this time, instead of aliens, a young boy named Falcon is feared to be inside the craft when it comes careening to the ground. The entire episode, eventually purported to be a hoax, in fact, appears to have been yet another calculated, made-for-television event to prepare the world for an upcoming extra-terrestrial disclosure. – October 16, 2009: NASA watch dog and researcher, Richard Hoagland, appearing on the Coast to Coast AM radio show a week later, claims that the LCROSS bomb actually hit a building that is remnants of an ancient civilization near the Cabeus crater, a permanently shadowed region near the Moon's south pole. He believes this entire mission is yet another prelude to Barack Obama announcing the existence of extra-terrestrials. 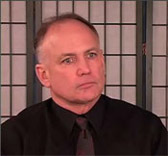 "We are being prepared in the mainstream to think unthinkable thoughts," says Mr. Hoagland. "I think the mass consciousness is increasingly getting better, people as a whole, in the general culture, are sensing something REALLY big is coming. "I think we are building up to a huge, major announcement, vis-å-vis space, by the President of the United States, Barack Obama." "I think we are looking at imminent disclosure, it is pretty much just around the corner. The real reason for LCROSS, it was a hidden mission to the Moon to verify... that there really exists ruins on the Moon." Also, see Richard Hoagland's detailed examination of the LCROSS Mission in his white paper to his web site, "NASA's Smoking Gun: Part II – LCROSS' (and LRO's) Secret NASA Mission to the Moon ...."
– October 21, 2009: Dr. Michael Salla publishes another sensational news story, "Official disclosure of extra-terrestrial life is imminent", which summarizes the remarkable number of indicators that are pointing to an impending UFO disclosure. He feels clearly point, from all other indicating factors to his own inside information from contacts with the Department of Navy that an impending announcement by extra-terrestrials is within reach now. – November 3, 2009: A new TV series on the ABC network will debut, entitled, "V," on Tuesday, November 3rd at 8 PM EST/PST. "V" is about a race aliens known as "the Visitors" who at first appear to be friendly, but naturally, turn out to be nasty and scary, as they seek to take over Earth. This show is actually a revival of an older series from the 1980's by the same name, that has now been brought back for the fourth time! With all the talk about impending extra-terrestrial disclosure, the timing of this show is very curious indeed. "V" is a re-imagining of the 1980's miniseries about the world's first encounter with an alien race. Simultaneously appearing over every major city in the world, the Visitors (or V's) promote a message of peace. Through their generous offer to share advanced technology, the V's build a following that may actually hide a more malevolent agenda, one that twists a very deep component of human nature: devotion. – November 8, 2009: In a special to be aired on the SyFy Channel (formerly the Sci-Fi Channel), David Wilcock, Richard Hoagland, John Major Jenkins, Robert Schoch and George Noory will be featured in "2012: Startling New Secrets," It will be broadcast on Sunday night, November 8, 2009 from 9 to 11 PM on both coasts. What can we do to prepare for 2012-and what has already been done? New theories are emerging that the U.S. and other governments may have conspired to hide the disturbing facts from the public, in part to prevent global panic. Some are claiming the U.S. government actually has a secret project to try and prevent an Apocalypse. A few aren't waiting for the government to solve the problem. They take these dire predictions so seriously they're preparing for the worst ... selling their homes and moving to undisclosed locations across the globe. 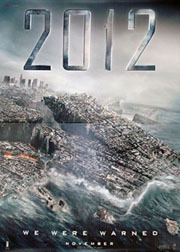 – November 11, 2009: The big-budget, disaster-filled, "2012" movie will premiere, which is yet more gloom and doom propaganda designed to scare the world out of their collective wits. The trailers for the film are being hyped heavily by cable TV provider Comcast, as part of an all out media blitz to hype the film through the roof. So why so much hype? To keep people from realizing that 2012 is actually meant to be an incredibly glorious and positive event for all of humanity. As you can plainly see, the evidence for some kind of major imminent event is overwhelming. The Divine plan seems to be one of an ultimate wake up call for humanity, that at first appears to be quite terrifying in order to get the attention of everyone on the planet. However, appearances can be deceiving. Perhaps David Wilcock has put it best in terms of crystallizing this entire experience the world finds itself in at this moment in our history. "There is a loving Creator and the game has been setup to preserve our lives. We're being scared, but we're being scared into awakening, not into death. We're not being scared to death, we're being scared to life." As we said, fasten your seat belts! The fun is about to really begin. UPDATE – November 3, 2009: See our latest Blog post – "Separated at Birth – Balloon Boy, 'V' and Mr. Spock"
UPDATE – November 29, 2009: Massive new David Wilcock update released, "Disclosure Updates and Transcript of Coast Announcement, 10/6!"